Prep ahead staples for your fridge and freezer, quick Thai noodle soup. – Hurried Home Chef! Prep ahead staples for your fridge and freezer, quick Thai noodle soup. 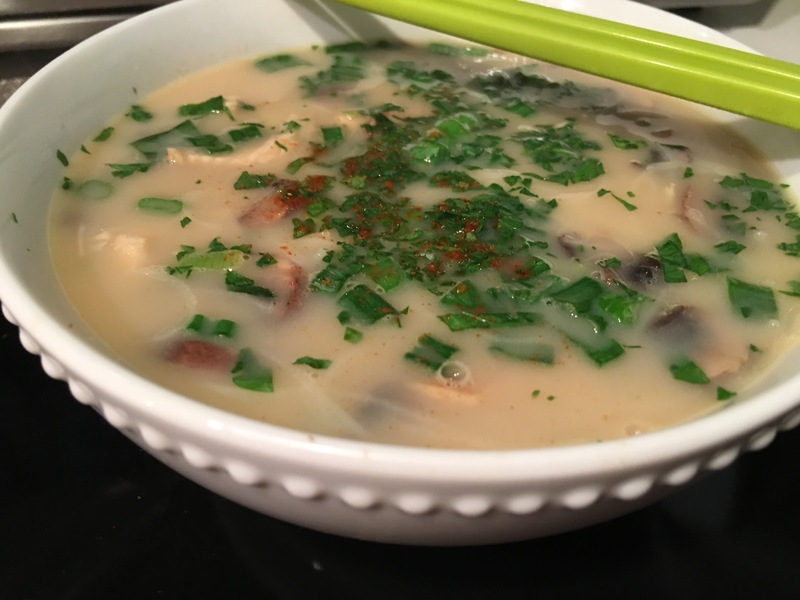 Using these, I made an Asian inspired soup in 15 minutes. 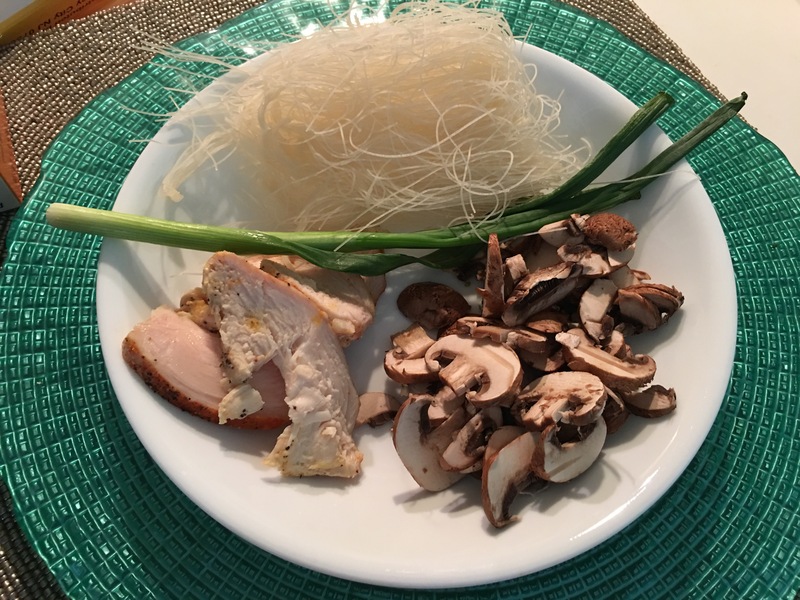 I started with boxed chicken stock into a pot, I added a cube of coconut milk, diced cooked chicken, chopped mushrooms, garlic, ginger, and a sliver of hot pepper or you can use sriracha–bring to a boil then add scallion, cilantro, rice noodles, until cooked. This is easy to modify in many ways. Previous Post Chicken legs are for grown-ups too! Next Post West Indian beef patties!